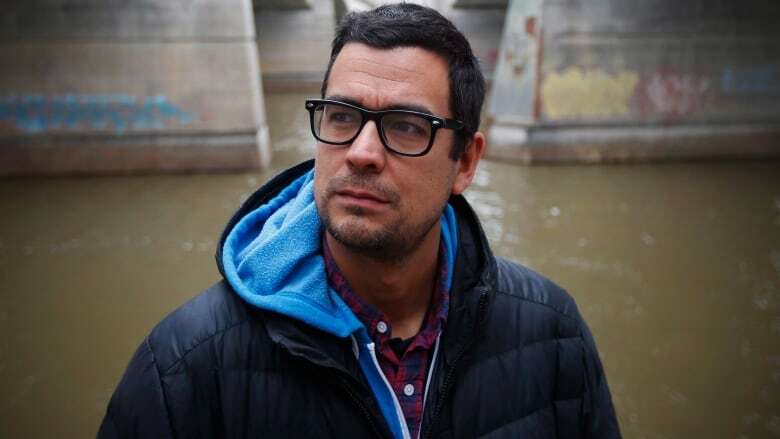 A prominent Indigenous author says the Alberta government's decision to turn the page on one of his graphic novels used in schools is undermining its commitment to reconciliation. David Alexander Robertson says a teacher, who had students read Betty: The Helen Betty Osborne Story for years, reached out on social media last month after noticing it made Alberta Education's not-recommended list for classrooms. The graphic novel — for students from Grade 9 to 12 — explores the real-life story of a 19-year-old Cree woman who was kidnapped and murdered in The Pas, Man., in 1971. "It's concerning to see books being censored in this way, especially in an era of reconciliation where we need those truths," he said in an interview with CBC Radio's Unreserved host Rosanna Deerchild. Robertson, 41, contends the list — used as a reference for school boards, schools and teachers — becomes a form of censorship of Indigenous voices in a chapter of Canadian history that should be examining racism, sexism, colonialism and institutional failures. This isn't the first time Robertson's books have been flagged as inappropriate in Alberta. In September, his first-ever graphic novel series, 7 Generations: A Plains Cree Saga, was named on the Edmonton Public School Board's so-called "Books to Weed Out." The school board defended its decision, saying the site's purpose was to help teachers make informed decision around their use of resources and not to suggest that books be made unavailable. Outcry prompted the board to ultimately take down the book review site. "These are the books that we need to be reading. If we're putting them on a list that we're saying, 'don't read these books,' then I think that probably matches a pretty good definition of what censorship is," the award-winning author said. But the province stressed its "unwavering" commitment to the accurate reflection of Indigenous history. By fall 2020, Alberta Education plans to introduce a new curriculum that "honours the history and perspectives of First Nations, Métis and Inuit communities" for students from kindergarten to Grade 4. The curriculum will be introduced in stages. Last year, the Alberta government revamped lesson plans for teachers from Grade 1 to 9 about the history of First Nations, Métis and Inuit — and the legacy of residential schools. It was part of a trial to incorporate recommendations made by the national Truth and Reconciliation Commission, and was made available as a resource to be taught at the discretion of teachers, individual schools and boards. Writing Osborne's story in a graphic novel was a way to "bridge the gap between the classroom and the outside world," Robertson says, and draw attention to the issue of violence against Indigenous women. "The book looks at the night she died, but it also asks people to think about what led to her death and then what we can do about it now," he explained. It would take 15 years before murder charges were laid in Osborne's death, and the case went on to become the basis of an Aboriginal Justice Inquiry. Officials from the Aboriginal Justice Implementation Commission determined that racism, sexism and indifference in the northern Manitoba community marred the police investigation from the start. Robertson argued stories about missing and murdered Indigenous women, suicide, the legacy of residential schools and reconciliation "need to be woven into the fabric of who [youth] are as Canadians." This is done in schools, he says, and serves to deepen the discussion about Indigenous issues. But teachers can't do this with their students, he says, if they shelve some resources — like books. "As administrators and educators, we need to do the work to understand these things ourselves rather than just say this is not going to the classroom because we think it's too difficult to learn," Robertson said. So far, Betty is one of the only young adult books to address missing and murdered Indigenous women, Robertson says. "If we take that out of [students'] hands, then how are we going to teach them about it," he asked. Education Minister David Eggen was unavailable for an interview with Unreserved, but in an email statement, a government spokesperson said the province's concerns about Betty centred on "graphic representation of sensitive content," including sexual assault, which the ministry explained could be upsetting to students and must be taught in "age appropriate ways." "We have a duty to our students to ensure resources with explicit content are handled with due care and contextualization," the province said. "Explicit content has the potential to trigger short term and long term emotional and psychological responses from students who may have in the past or are currently experiencing related trauma." However, the province said if a school or teacher would like to use Betty, "they can still do so as it's ultimately up to them to decide what resources are used to teach students." The ministry noted it reviewed 10 of Robertson's books and determined eight met its standards. Robertson says he wants to see such decisions "made in a more informed way, with the right people involved." This revelation, he explained, led him to re-evaluate the province's commitment to truth and reconciliation. "We talk about reconciliation, but the truth part of that process comes from Indigenous peoples' voices, sharing our stories through literature, and art, and dance, and all of these different avenues," he said. "If it is written by an Indigenous author from their lived experiences: it's truth." Written by Amara McLaughlin. Produced by Unreserved's Stephanie Cram.